Are people really this ignorant?!? Quick Quiz: How many people in the property market have no idea what they’re doing? Someone forwarded me a recent study by investment bank UBS. They call it the UBS Evidence Lab Australian Mortgages survey. It aims to be a snapshot of mortgage borrowers over the past twelve months. It’s a calibrated study and is a representative sample of the population of mortgage holders as presented by APRA and the banks. There are a few interesting things that come out of it, but the one that really jumped out at me was around interest-only mortgages. Interest Only mortgages are back in the spotlight again. People still reckon they’re the Achilles Heel of the Australian property market – a haven for irresponsible and reckless borrowing. Anyway, everyone’s going on about them again. So the UBS study has a particular interest in the IO market. Our survey showed that only 23.9% of respondents (by value) took out an interest-only loan in the last twelve months. However, APRA statistics showed that 35.3% of loan approvals in the year to June were interest only. While we initially suspected that this was a sample error, further investigation from our data science team showed that our survey response is statistically significantly different to the population at a 99.9% confidence interval. This implies that the probability of such a material difference in IO loans between our survey and the APRA statistics due to a sample error is approximately 0.1%. We believe the most likely explanation for the lack of respondents indicating they have IO mortgages is that many customers may be unaware that they have taken out an interest only mortgage. In fact, our survey suggests that around one third of interest only borrowers do not know that they have this style of mortgage. Blow me down with a feather. Seriously? 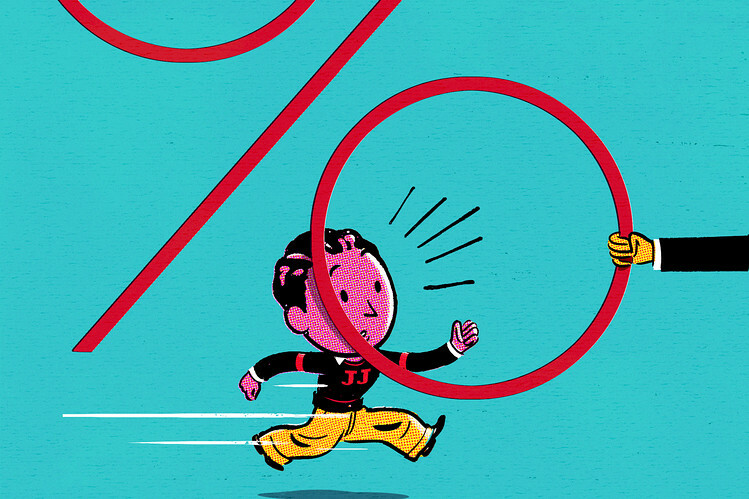 One-third of interest-only borrowers don’t know that they have an interest only loan? They don’t know that at some point in the near future, they’re loan is probably going to roll over to principal and interest, and they’re monthly payments are going to jump 40% to 50%? My first thought is that this is just ridiculous. How can that even be possible? But then I remember that I tend to run in a pretty financially savvy crowd. It’s definitely not representative of the broader population. Remember that only 64% of Australian adults are considered finically literate, according to S&P’s Global Financial Literacy Survey. • 28% had no understanding of fixed rate home loans. • 38% had no understanding of interest only repayments. Are people really making one of the most important financial decisions they’ll ever make from such a position of ignorance? If so, this is a national disgrace. I’ve said it before, property investing is not rocket science. The concepts aren’t difficult to get your head around. Anyone can do it. But there are concepts to get your head around – compound interest for example! It’s not difficult work, but you still need to give it the time it needs. And I see too many people ducking this work and deferring to experts: the accountant who tells you that you need a negatively geared property. The sales agent who’s taking kickbacks from the developer. The mortgage broker dobbing you in for interest only, when you don’t really get the concept. I’ve seen it all. And look, most people are trying to do the best thing for you, but only you know what you truly need. For me, this is a war-cry for self-empowerment. If you’re going to be a property investor, do it properly. Put the time in and skill up. It’s not hard. It’s not even that much. Just don’t be making million dollar decisions from a place of profound ignorance. Can a third of interest only borrowers really not know that they’re on interest only?